Many colleges and universities don’t allow candles in campus housing. The open flame can cause fires and there’s also the smoke and soot to think about. Burning candles indoors for long periods of time definitely changes the color of your painted walls! A Scentsy Warmer is the perfect solution for avoiding the open flame restrictions in dorm rooms and adds a nice decorative touch at the same time. Scentsy Warmers are a safe option for dorms, apartments, cabins, and any home! Because the warmers use a low watt bulb or a heating element, you can leave your warmer on while you leave your room. No need to worry about starting a fire while you are gone. And, if you have children or pets visiting you, you don’t have to worry about them burning themselves or knocking over a lit candle. Warmers with a bulb are great nightlights! You can choose from Scentsy’s full-size Warmers or Scenty’s Nightlights which are more compact for smaller spaces. Don’t want any extra light in your dorm room, bedroom, or office? An Element Warmer is a perfect choice for you. Element Warmers have a special heating element which warms the scented wax in a dish, releasing whatever scent you like. Scentsy also offers an entire line of Collegiate Warmers. You can find football helmet and mini warmers with school logos from Oklahoma State, Texas A&M, Ohio State, University of Michigan, and more! 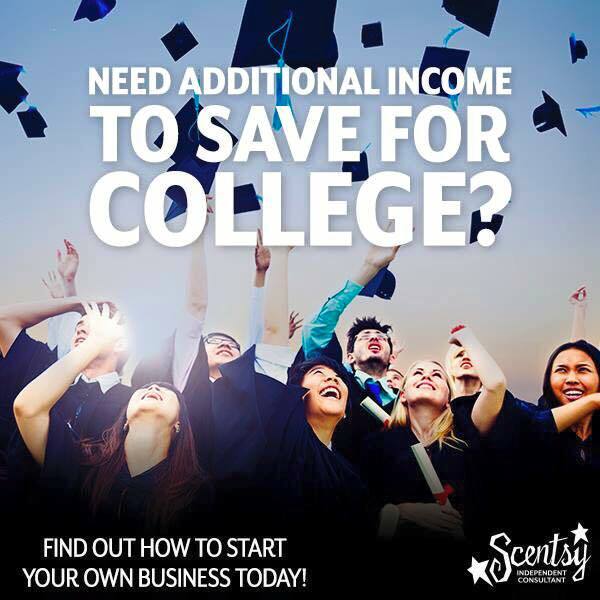 Scentsy is also a great opportunity for college students looking to make some extra money. Share Scentsy around campus, back home, and online. Use your phone in between classes to contact customers and place orders. You can join my team today and start earning now! Contact me today if you have any questions!